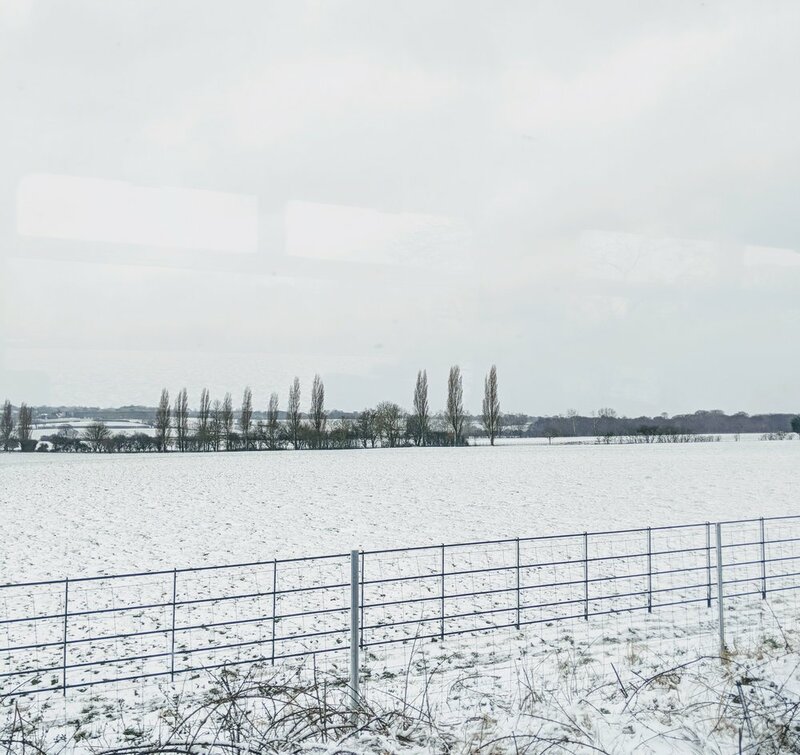 The snow descended on East Anglia once again, just in time for the second in our series of summits with the Eastern Baptist Association, this time held in Chelmsford. It should have been the third, but the storms in early March had kept us from our appointment in Cambridge. This time the weather didn’t stop us, though it may have tested the mettle of our guests! 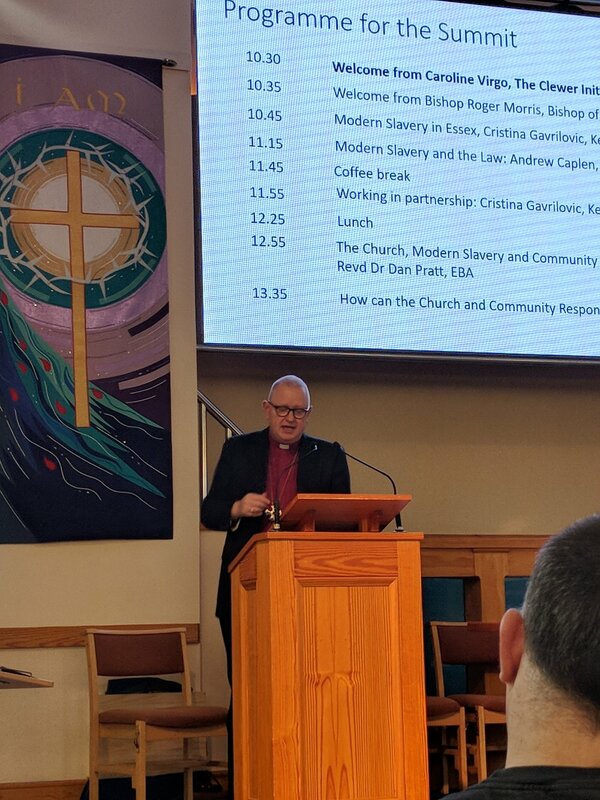 Fortunately all our speakers made the trip successfully, and we started with a passionate and engaging talk from the Rt Revd Roger Morris, the Bishop of Colchester. His personal interest in the topic shone through as he spoke about what he feels is our duty to fight against modern slavery. He also encouraged those attending to be on the lookout for those in our communities who are trapped and exploited, outlining the key role he thought the church could play in ending this crime. To talk more about the criminal aspect of modern slavery, we then welcomed Cristina Gavrilovic, the Anti-Slavery Partnership Coordinator for both Kent and Essex Police. She spoke about some of the cases she had seen in the local area, particularly highlighting the role of organised crime gangs in modern slavery, and the vulnerability of children to this crime. Cristina was followed by Andrew Caplen, a solicitor, notary public, and former president of the Law Society. In his role as a solicitor he heard about cases in the local area, and became increasingly alarmed at the criminality that was going on under the noses of local people. From private homes in town centres being used for cannabis farming, to a woman being sexually exploited as a prostitute in a brothel directly opposite a prominent evangelical church, modern slavery seemed to be everywhere, and yet no one could see it. Cristina was back up next to explain how she had enabled people to do just that, and how by harnessing the power of the community, she had seen huge increases in victims coming forward. She showed a slide covered with all the people and organisations that could be described as ‘the community’. From taxi drivers, to street pastors, to teachers and nurses – what could be done if each of those were trained to spot the signs of modern slavery? Finally we heard from Revd Dr Dan Pratt, our colleague in the Eastern Baptist Association, who through his own church has seen first hand how churches can extend a helping hand to those trapped in modern slavery. He believes community-based intelligence to be essential, saying ‘modern slavery thrives in silence and indifference’, and challenged those present to look at how the church can help victims. Perhaps by keeping their eyes open to signs of abuse, or by journeying more closely with survivors who may see the church as a place of refuge, and helping them towards healing and recovery. We asked our guests to finish the day by writing down one thing they thought they could do to help end modern slavery, and how we could help them to achieve it. Watch this space to see what happens next! To find out more about how we are working in your area, check our dioceses page, or to see if we have an event near you take a look at our training page.